We are extremely excited to be hosting a special night with Chapel Down in Minster on the 20th July and Canterbury on the 17th August. Both events start at 7pm. Freddie from Chapel Down will be there on the night to talk our guests through the menu and talk about the vineyard in Tenterden. 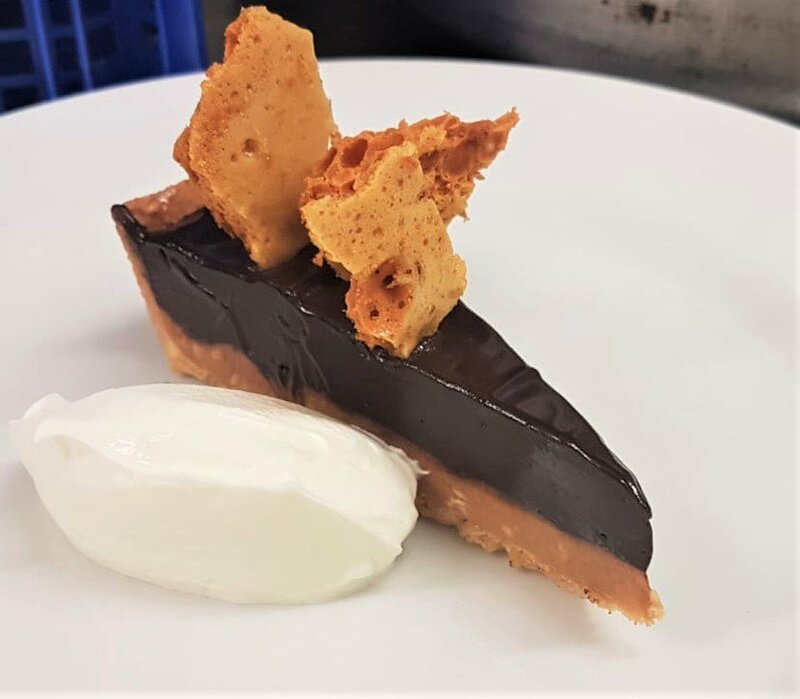 To book your table, please contact our Minster restaurant today on 01843 823000, or our Canterbury restaurant on 01227 780793. When we hear good things going on in a Corner House neighbourhood, we like to share it! 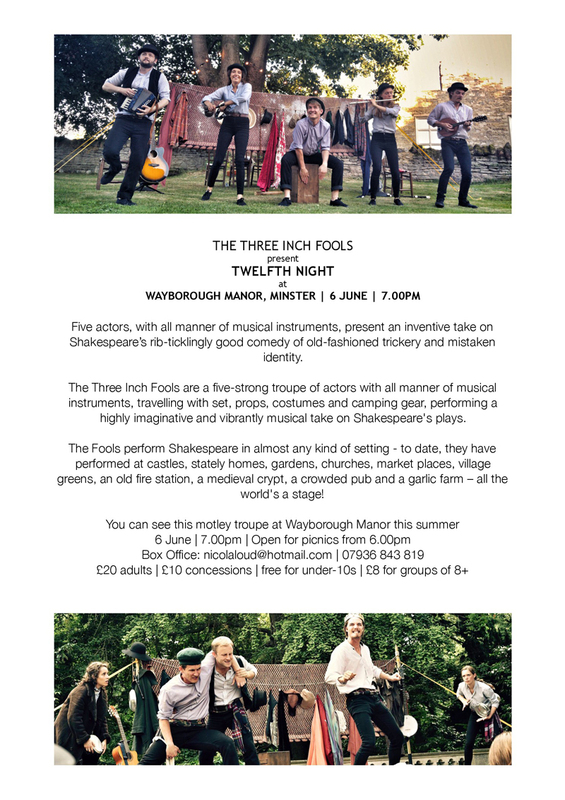 Check out this great event in June in Minster and there may be time to sneak in a Corner House visit beforehand!! 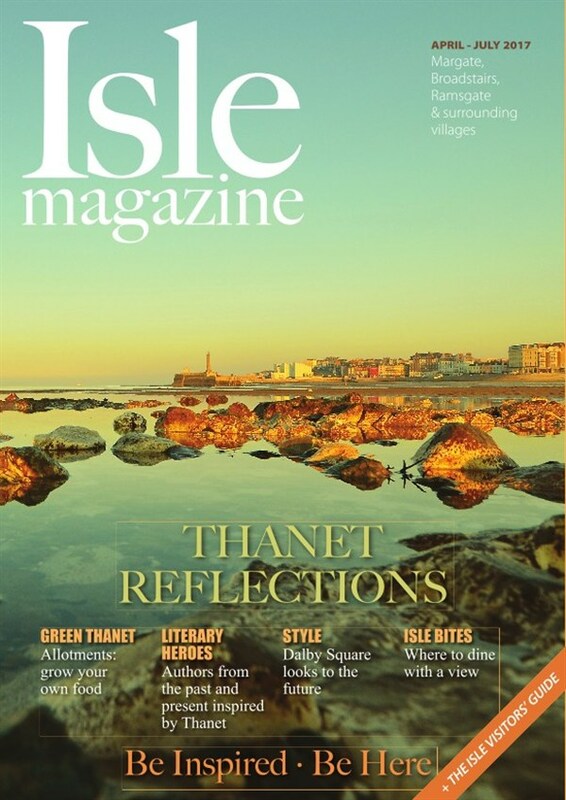 We're in this quarter's edition of Isle Magazine! Please click through to read an online copy. 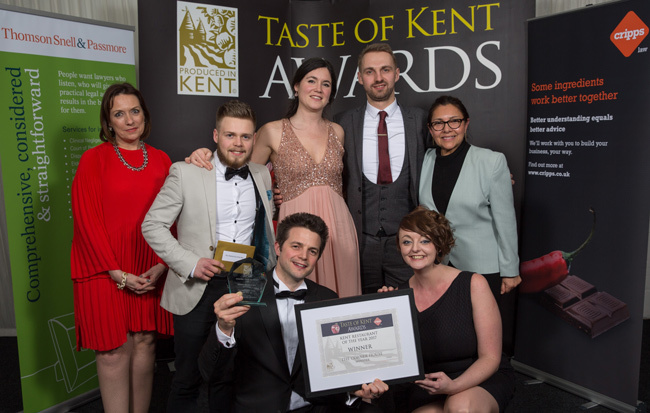 We are pleased to announce Corner House Minster collected the Taste of Kent Restaurant of the Year for the second time in three years at a prestigious awards ceremony at The Kent Event Centre in Detling on Thursday 9 March. 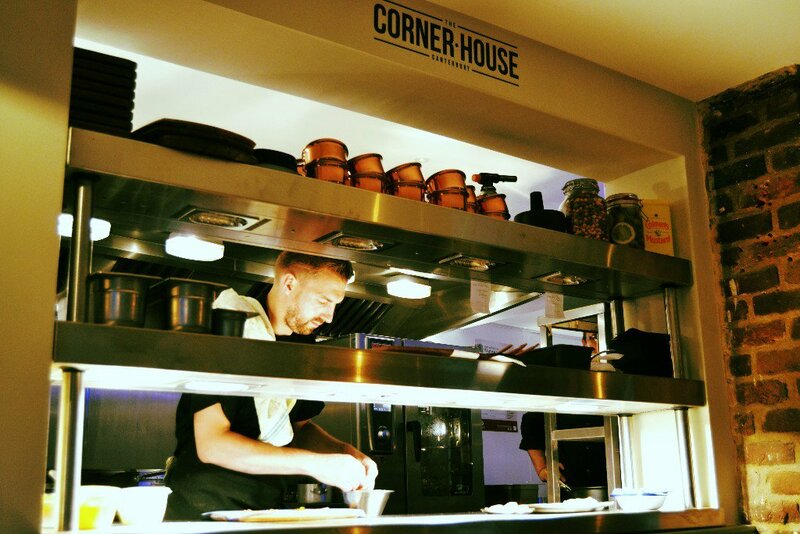 It is the second time that The Corner House, which celebrates its fourth anniversary in June, has been presented the award, having been a finalist in the best restaurant category for the past three years. The award recognises the quality of the guest experience from arrival to departure. 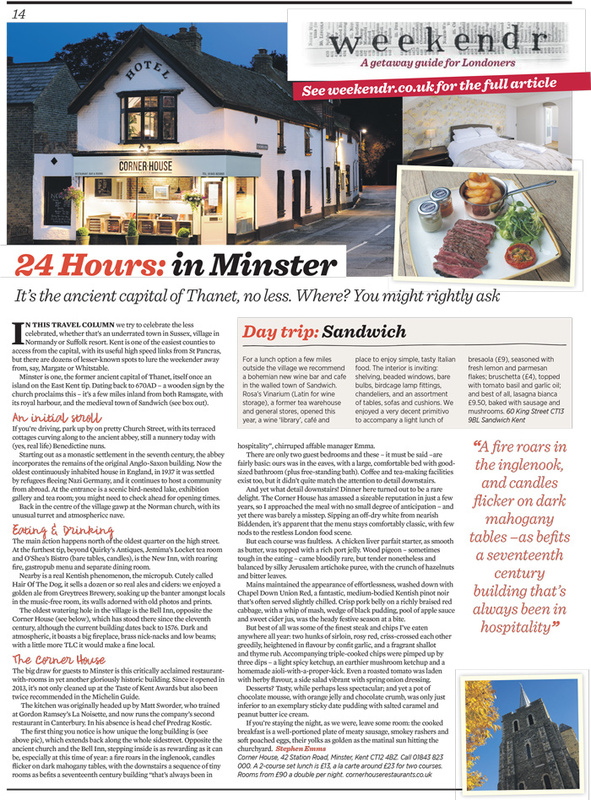 Matt Sworder is chef proprietor of The Corner House Minster and its sister restaurant The Corner House Canterbury, which opened in July 2016. He collected the award with operations manager Emma May, head chef of Canterbury Mark Cragg, commis chef at Minster Glenn White and Minster’s housekeeper Abi Baillet. Unfortunately, Minster’s head chef Predrag Kostic was unable to attend due to personal reasons. 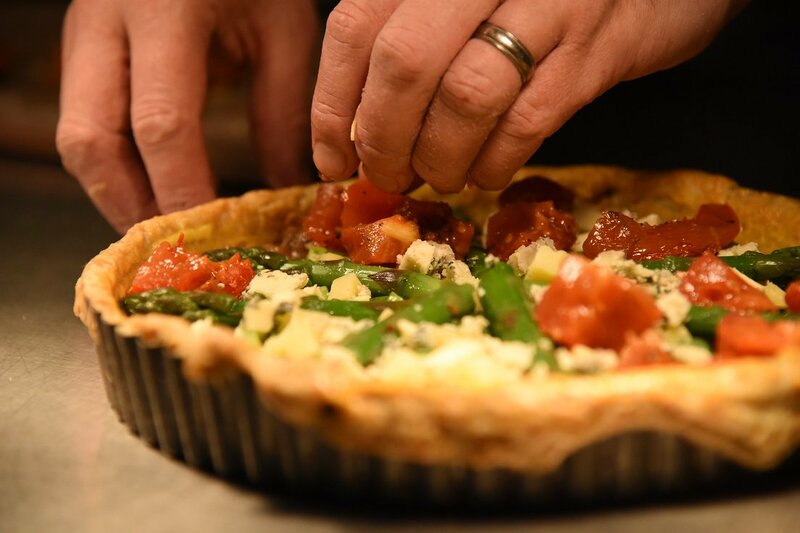 The other finalists in the restaurant category were The Mulberry Tree in Boughton Monchelsea, and Saltwood on the Green in Saltwood. Picking up the paper on a Saturday morning and who should appear? “Each course was faultless. 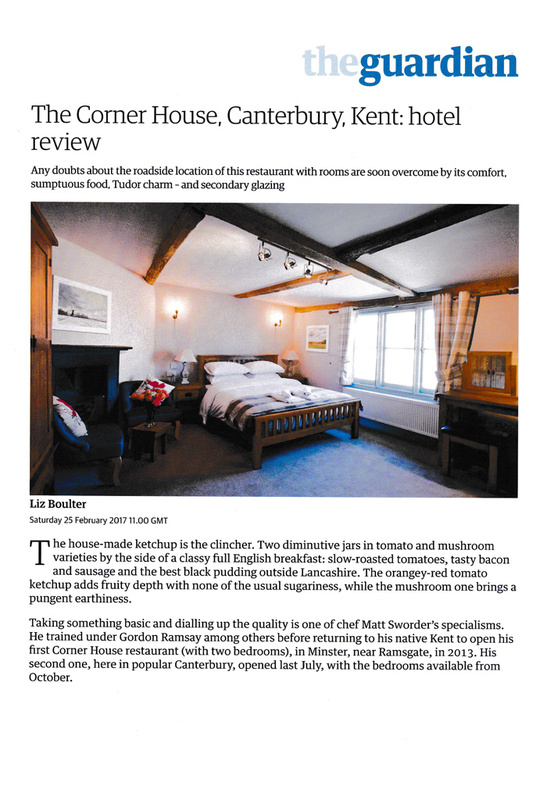 .A chicken liver parfait starter, as smooth as butter, was topped with a port rich jelly…"